*Professional Hair Cutters & Finishing Stylists – Expand your business!!! Enter into the Exciting Salon Hair Color Business with extreme confidence and earn three times the yearly income. *Salon Owners- Looking for a comprehensive Hair Color Training Program for newly hired hairdressers? This is it! This is the educational program for Salon Owners and Managers who wish to create Strong Hair Color Client Retention for their Salons by utilizing the best business and professional practices for every day Hair Color services. U Process Hair Color Educational Program is offered as On-Line Education Courses which feature High Definition Videos in Learning Modules. There are Lessons, Exercises and Assignments which are followed by Quizzes pertaining to Compressive Hair Coloring Training. Each Course offers high quality Step-by-Step Training Videos. You will watch highly experienced Professional Hair Colorists demonstrate Hair Color applications. You will also conduct your own experiments, where you will apply Hair Color to a specially designed 5-different color sections Mannequin Head. Based on the results of the hands-on experiences, you learn exactly how color is applied and the effects of different colors on different hair types. You’ll also learn all the important Hair Color facts and start performing with the skills of a Hair Color Specialist. 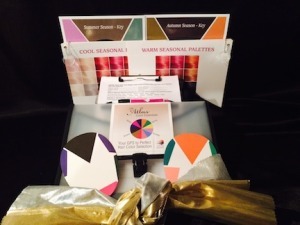 COURSE 1 “The GPS / Atlas” Color Consultation Course teaches you exactly how to advise your client so that their color looks even better than they imagined. When you properly evaluate and select the correct color, your client’s overall appearance and persona will improve; creating a highly satisfied client. Salons using the “GPS / ATLAS” color consultation system report 100% increase in first time client immediate rebooking and increased client retention. They also report an average of 2 referrals from first time clients, because their color consultation so enriched their salon experience and they know their friends will receive the same uniform experience. “The GPS / Atlas”is a stand alone class and works for every level of colorist and every manufactures color line. 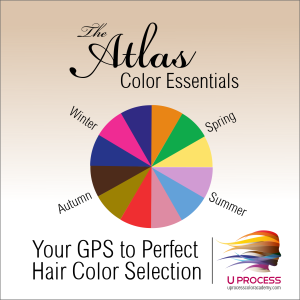 Course 1 – “The GPS / Atlas” Color Consultation Course teaches Hair Color Consultation Skills. “The GPS / Atlas” Course takes approximately 7 hours* to complete. You will have 5 Lessons and 4 Exercises with assignments to complete followed by the Final Quiz in order to pass and receive your “Certificate of Completion”. 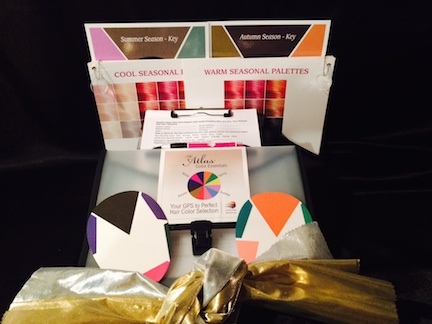 The Course Kit includes: 5 Hours of Video Instruction at www.uprocesscoloracademy.com/learning 2 Double-Sided Face Seasonal Color Selectors, 1 Seasonal Color Palette Chart (Warm/Cool), 2 Seasonal Draping Swatches, Hair Coloring Rules, Factoid Chart (Story Board ), Client Consultation Forms with Clipboard, Carrying Case and Pen. * Seven hours of online and exercise time to complete. Depending on current level of prior Hair Color knowledge and Salon experience the course may be finished in less time. “Driven 2 Color Performance” is a complete Hands-on Course where you learn how to evaluate, select, formulate, apply and promote Hair Color. Those desiring to take this class must first complete “The Atlas” Training. This class is designed to give power to those who are new to the Hair Coloring Business. Learn in 2 months what it usually takes 2 years to acquire from in salon training. 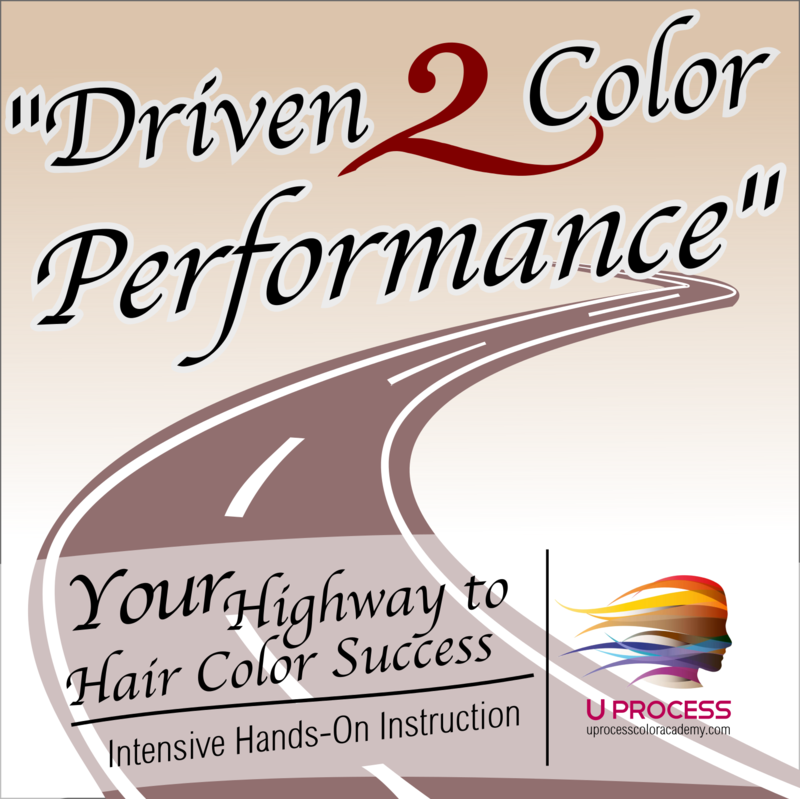 Course 2- “Driven 2 Color Performance” Course Kit includes everything you need for your Hands-On Hair Color Training. 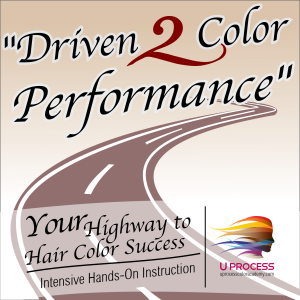 “Driven 2 Color Performance” Course takes approximately 20 hours* to complete. You will receive a specially designed 5-sectioned Mannequin Head in your Course Kit. The Hands-on exercises include, mixing and applying Ammonia based Permanent, Non-Ammonia based Permanent, Demi and Semi-Permanent Hair Color formulations onto the 5-sectioned mannequin head in circular sections. There are 9 Video Lessons, 10 Hands-On Application Exercises with Assignments followed by 10 Quizzes. You will go to uprocesscoloracademy.com/learning – and login with password. Next you will watch each Lesson on your computer, iPad tablet or Smart Phone and then perform the corresponding Exercise for that Lesson on the Mannequin Head. You will evaluate your color results and present your color results back to U Process for Evaluation and Grading Via the Forum. You can expect your reviewed Evaluation and Grade to be sent back to you in 2 business days. After our final review of all your Course Assignments and Quizzes you will receive your Final Grade and “Certificate of Completion”. You will be learning all the must know Core Fundamental Laws about Hair Color and much more…. “Driven 2 Color Performance” Back-Pack Carrying Case Contains: A Special 5 section Mannequin Designed for Hair Color Exercises, Digital Scale (ounces/grams ), Color Shaker, Brush, Comb,Clips, Barrier Film, Towel, Timer, Gloves, Cotton, 1 Pre-Shampoo and 2 Post-Color Shampoos, Developers for Course, 5, 9, 10, 17, 20, 30 Volume, 1 Tube Semi-Permanent Color, 2 Tubes Demi-Permanent, 3 Tubes Oxidative / Permanent Color, 1 Tube High-Lift Color, 1 Tube Non-Ammonia Permanent Color. 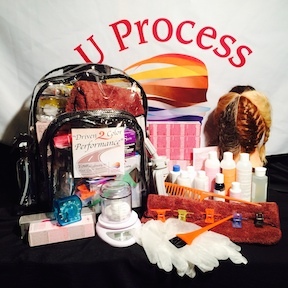 The UProcess Hair Color Educational Program is designed to provide you with a fast entry into the Professional Beauty Industry’s Billion Dollar Hair Color Salon Market $$$ Make your dreams come true, be the Hair Colorist you dream about being! SCROLL BELOW FOR SPECIAL OFFER!